After the success of Page 3 and Fashion, Madhur Bhandarkar is back with his next movie, Heroine. The movie revolves around . It would also be good to see if Aishwarya manages to get a hit at the box office after her last two big films, Raavan and Guzaarish flopped miserably at the box office. Interesting earlier, Kareena Kapoor was approached for the role now being played by Aishwarya, but after several meetings and discussions on the script, the actress politely turned down the offer. 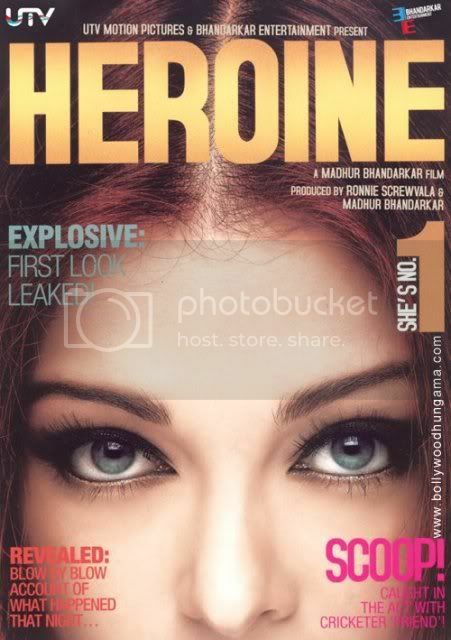 Madhur Bhandarkar’s, Heroine is about life and times of a superstar Bollywood actress and the script is said to have daring, emotional, shocking, glamorous and scandalous behind the scenes account of showbiz. Share First Look : Aishwarya Rai’s Heroine Exclusive Wallpaper with your friends on Facebook.